In the upper right, click Export Data download . In the dialog box, select the File Type for your export file and enter the Email address to send export to. 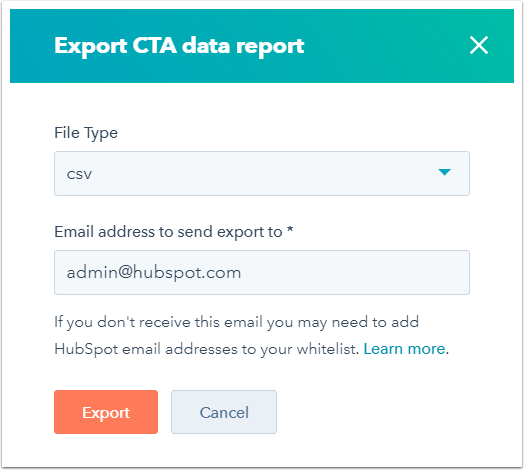 Click Export to receive an email with a download link to the export file.